The Monterey Jazz Festival is pleased to present its fifth national tour in 2019, featuring some of the greatest critically-acclaimed, GRAMMY®-winning and GRAMMY-nominated jazz artists of their generation, including three winners of the Thelonious Monk International Jazz Competition. World-renowned for its artistic excellence, sophisticated informality, and longstanding mission to create and support year-round jazz education and performance programs in local, regional, national, and international venues, Monterey Jazz Festival has stayed true to expanding live performances of jazz around the country since 2008 by presenting national tours that have reached over 115,000 fans in 163 shows across the United States and Canada. 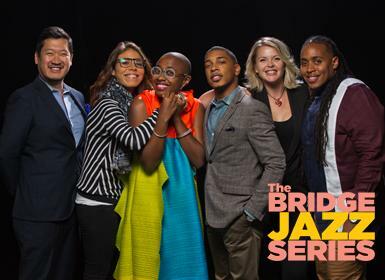 The 2019 Monterey Jazz Festival on Tour band features a top roster of diverse and international millennial talent and the leaders of jazz’s future, including Cécile McLorin Salvant, vocals, http://www.cecilemclorinsalvant.com/; Bria Skonberg, trumpet, vocals, https://www.briaskonberg.com/; Melissa Aldana, tenor saxophone, https://www.melissaaldana.net/; Christian Sands, piano, musical director, http://www.christiansandsjazz.com/; Jamison Ross, drums, vocals, https://www.jamisonrossmusic.com/; and Yasushi Nakamura, bass.